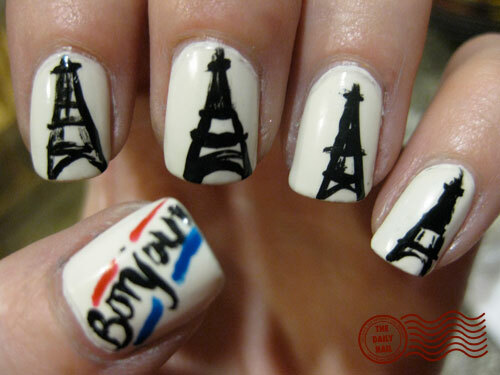 I used American Apparel Cotton as a base, with American Apparel Hassid for the Eiffel towers and 'Bonjour!'. For the red stripe, I used China Glaze Salsa and for the blue, I used Pure Ice French Kiss. Topped it off with two coats of Seche Vite top coat. I love paris, went there again 2 weeks ago! The other day I went through and looked and *all* of your designs. You inspired me to finally create my own nail blog. Thank you!! Wow sounds like a super fun day! Fun nails too. Aren't sisters the best?! I get to see mine in less than 4 weeks. What is Anthony Cools? Love the nails, c'est tres jolie! 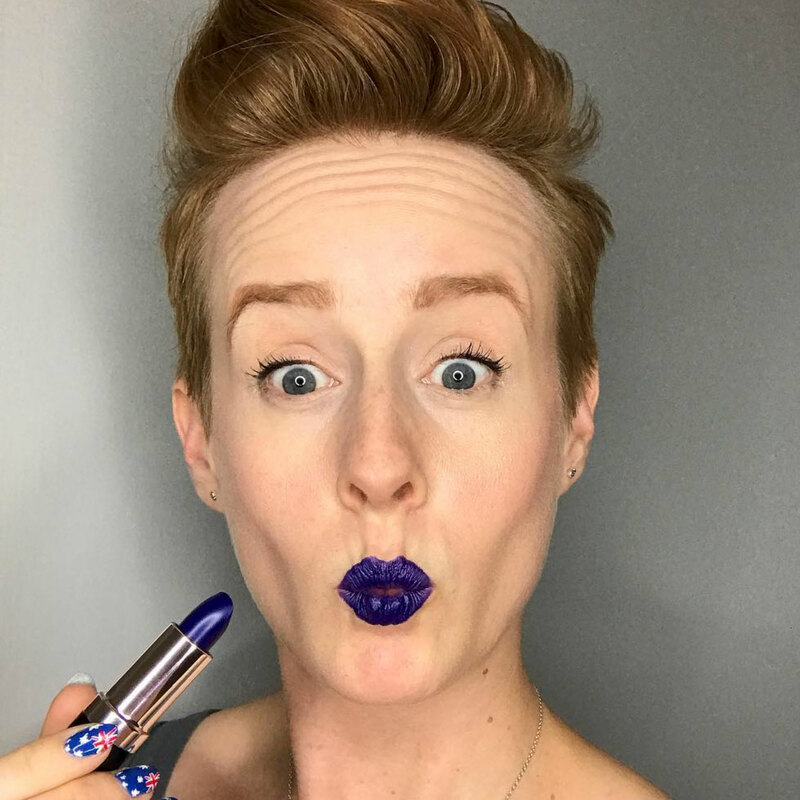 I have been wondering for a while about your use of two coats of seche vite. do you experience much "pull" with two coats? does it dry faster than just one coat?? thats so cool! great job! I buy ANYTHING that has the Eiffel Tower on it. I LOVE your nails! To die for. You're getting better every day!!!! I am in love with these nails! How did you do the Eiffel towers and the bonjour?